Editor’s note: This story is part of a series profiling the Episcopal Church’s recent work planting new churches and other faith communities. Other stories about recipients of grants from the Episcopal Church’s Genesis Advisory Group on Church Planting can be found here. [Episcopal News Service] Julie Groce works for a ministry of the Diocese of Atlanta that began as an orphanage for the daughters of Confederate soldiers, and she is old enough to remember the days of separate drinking fountains for whites and blacks. 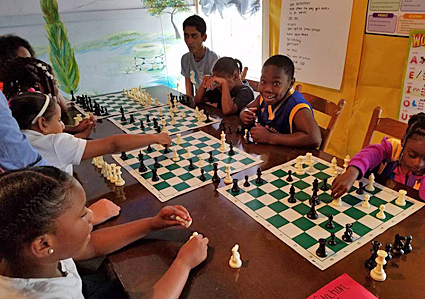 It thus makes sense to her that Appleton Episcopal Ministries, which she says has been evolving since its founding in 1870, has begun a Children’s Defense Fund Freedom School. Fifty African-American first-, second- and third-graders from the Macon, Georgia, area attended the school’s inaugural 2017 summer session. The school, an intensive six-week summer reading and enrichment program for children living in poverty who need to improve their reading skills, “kind of turns all that Confederate stuff on its ear,” Groce told Episcopal News Service. 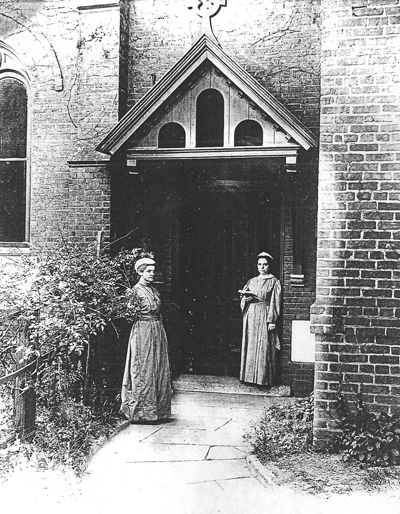 One of the earliest orders of deaconesses in the Episcopal Church, the Order of St. Katharine, formed at the Appleton Church Home, as the orphanage was first known. The Freedom School will have its second session this summer from June 14 to July 25. This year’s students will read culturally appropriate books that explore history, civic engagement and social justice. They will also have art, science, dance, music and swimming classes, as well as field trips. College and graduate interns, enrichment teachers and nearly 100 volunteers make the school work. In 2017, Freedom Schools served more than 12,225 children at 173 program sites in 89 cities and 27 states including Washington, D.C., according to the Children’s Defense Fund website. Appleton received a $20,000 Episcopal Church Mission Enterprise Zone grant for the school. It also gets money from the Diocesan Ministry Innovations Fund and the USDA Summer Feeding Program, a grant from Appleton itself, and donations from individuals, churches and clergy groups. 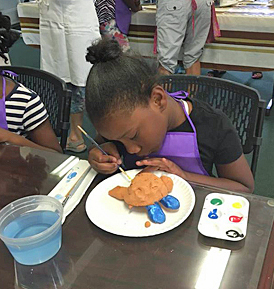 Classes are held in St. Paul’s Episcopal Church and the St. Francis Art Center, both in Macon. There’s more going on at the school than simply helping struggling students read better. It’s about starting to connect people in an area that has had troubled race relations for decades. “The primary inspiration for Freedom School was that it was automatically going to be a prospect of racial reconciliation,” Groce said, adding that organizers thought uniting the churches and the neighborhood around helping poor and struggling students might be a place to start mending that part of Georgia. There is still the aftermath of slavery and all of its modern-day heritage to confront, and there is still economic and de facto segregation in Macon, she said. Appleton Episcopal Ministries operates out of the Appleton Church Home’s original 1870 building. The building is now also the parish hall for St. Paul’s Episcopal Church, in the diocese’s Macon Convocation. There are 10 congregations in the convocation, most of them small in membership and scattered across the mainly rural southern end of the diocese. An endowment helps defray some of Appleton’s expenses. Since 2014, each congregation has had a seat on Appleton’s board. They pay an annual percentage of their income to support Appleton, and all the congregations in the diocese are required by canon to contribute each year. Some of those contributions are given back in the form of program grants. The aim is for the programs supported by the grants to eventually become self-sufficient, so they no longer need Appleton’s help. “We act as a multiplier,” Groce said, partnering with other denominations and organizations to help children in need. “My job is to serve those parishes and the Appleton board by going to those parishes and saying, ‘If money were no object, what would you like to do in community ministry?’” she said. She then helps those congregations find the resources to do that work. “I have a super cool job,” Groce added. 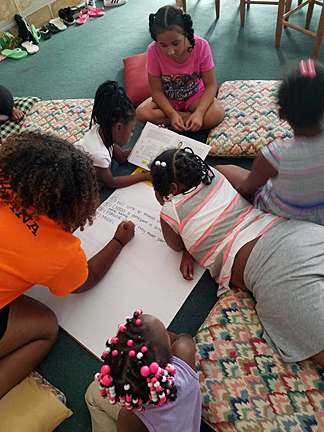 The idea for a Freedom School came after Groce and others in the diocese saw the success of such a summer program run by the diocese’s Emmaus House in Atlanta. Groce knew, however, that bringing the program to Macon would require outside help. It was the prospect of that new partnership, and all the ways Appleton was already working to foster such relationships, that caught the attention of the Episcopal Church’s Genesis Advisory Group on Church Planting, the Rev. Thomas Brackett, Episcopal Church manager for church planting and mission development, told ENS. They are engaging those people, not to invite them to come to church, but to minister with them in their communities, he explained. It is not that they aren’t welcome to come to church. Instead, the Appleton group hopes that “as they develop these ministries, they’ll spin off new worshipping communities as well, each with their own unique character,” Brackett said. Appleton’s grant application not only outlined what the goal was, but also spelled out what the strategies for success would be. Groce said Freedom School’s first year taught lessons to everyone who helped run the program. It “sensitized all of us to the absolute fragility of the lives of so many children that we had never reached,” she said.